We always remain concerned about delivering a flawless range of products and thus we store the entire lot under secured environment till the final dispatch of the orders. All thanks to our modern transit amenities owing to which we are capable to furnish safe and time-bound deliveries. 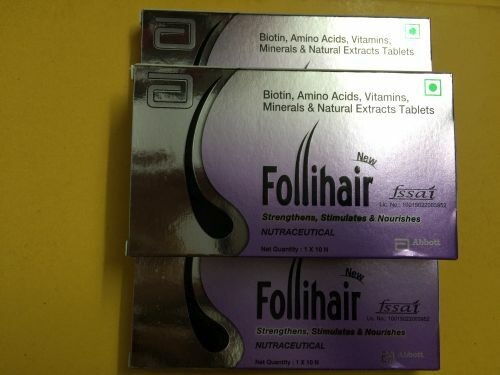 Follihair tablet strengthens stimulates and nourishes hairs to prevent hair loss and helps in the growth of strong and healthy hairs.